The Flyin Ryan Foundation is bare bones. We rely solely on donations to fund the Adventure Scholarships given to deserving, financially disadvantaged adventurers, to bring our Decisions Program to as many schools, teams and individuals as possible, and to raise awareness about our programs through the distribution of Flyin Ryan stickers, Core Values Challenge materials, appearances at events and organized fundraising events, such as our annual Golf Tournament. OUR ABILITY TO GROW IS TOTALLY IN YOUR HANDS. The more you support us, the faster we can grow. WE NEED YOUR HELP!!! Thank you for giving us and our mission your consideration. The Flyin Ryan Hawks Foundation is a registered 501(c)(3) nonprofit organization. For your convenience, you can donate electronically via PayPal. You do not need a PayPal account. Sending a check directly to us ensures that the total amount of your gift will go to the Foundation. No fees or service charges are ever applied. If you require a receipt or other documentation, contact us. Shop through AmazonSmile and support the Flyin Ryan Hawks Foundation! 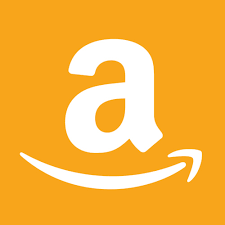 Begin your advertising-free Amazon shopping experience by signing in at smile.amazon.com. Then, search for and select the Flyin Ryan Hawks Foundation as your designated charity and shop as you normally do. Amazon will automatically send us 0.5% of the value of your qualifying purchases. Learn more here. And with the free Smilematic extension every Amazon purchase will be automatically logged without you having to access Amazon through the smile.amazon.com portal. Contact your broker and indicate you want to donate a number of shares of XYZ Company to The Flyin Ryan Hawks Foundation, Inc. Your brokerage should use DTC code 0188, and deposit the shares to Account # 869-204484. Specify that this is a Charitable Gift to the Flyin Ryan Hawks Foundation (EIN 38-3848358). Your brokerage may require other information. *Check with your tax and/or financial advisor for additional details and eligibility information.